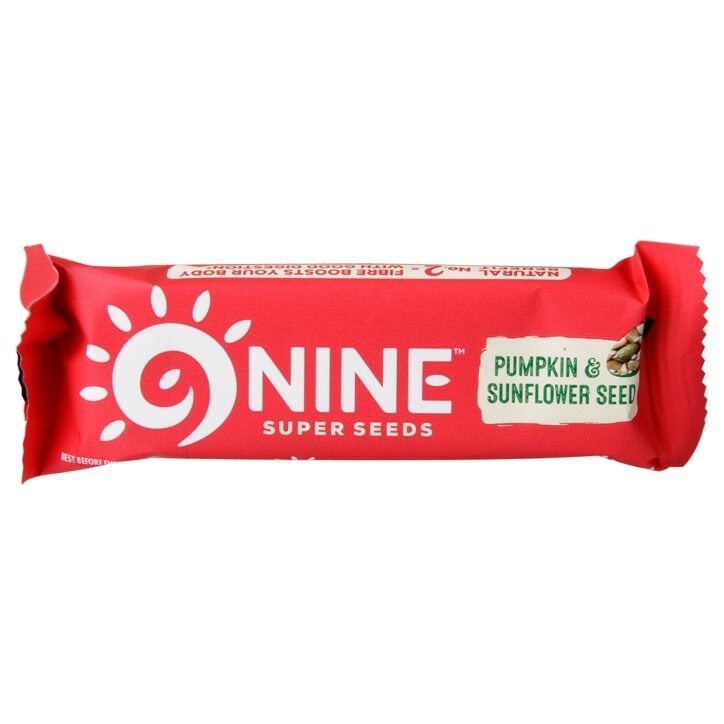 NINE Pumpkin & Sunflower Seed Bar is rated 4.6 out of 5 by 17. Rated 5 out of 5 by Daph39 from Moist, tasty and delicious These really are tasty bars, soft and moist, its nice to know they are healthy too. I will certainly be buying more, my whole family love them. Rated 5 out of 5 by Bepz from I love these as a snack or for 'pudding'. Not too sweet and nice texture. Rated 5 out of 5 by 1bigbird from exellent This is an exellent product, i take a couple to work to keep me going. Rated 5 out of 5 by Ishy from Fantastic product High in protein taste really nice and ideal for a sweet tooth, healthier option. Fantastic product. Great quality. Definitely recommend to try it. Definitely ordering more. Rated 5 out of 5 by Gina101 from Great handbag snack! The pumpkin 9bars are by far my favourite cereal bars. They taste great without being too sweet and don't have the horrible dry texture that some seed bars do.